By simulating a real computer it is possible to gain a detailed knowledge of the cache memory utilization of an application, e.g., a partial differential equation (PDE) solver. Using this knowledge, we can discover regions with intricate cache memory performance. Furthermore, this information makes it possible to identify performance bottlenecks. 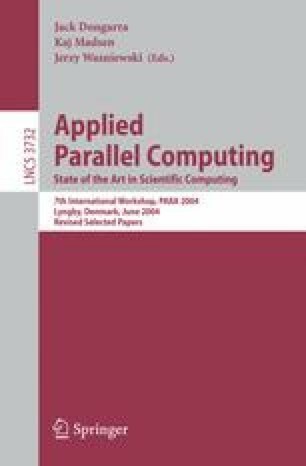 In this paper, we employ full system simulation of a shared memory computer to perform a case study of three different PDE solver kernels with respect to cache memory performance. The kernels implement state-of-the-art solution algorithms for complex application problems and the simulations are performed for data sets of realistic size. We discovered interesting properties in the solvers, which can help us to improve their performance in the future.